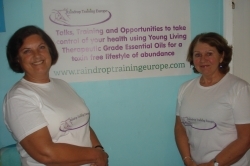 Raindrop technique is one of the most exciting and innovative aromatherapy treatments being practiced throughout the world today. It is an incredible and unique technique. 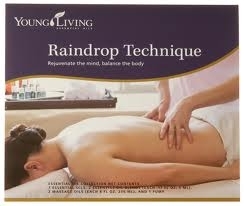 Raindrop Technique uses pure, organic, therapeutic grade essential oils of the highest quality – those of Young Living Essential Oils. This is the key to the success of Raindrop - the purity and quality of these wonderful plant extracts. The founder of Young Living, Gary Young, was inspired after speaking to a Lakota Indian named Wallace Black Elk, who explained the tradition of the Lakota people during the Aurora Borealis. Gary later developed the Raindrop Technique and the ten specific essential oils used during the treatment. The technique was first brought to the UK in 2000 but it is only now, twelve years later, and after much research and development of the technique, that is is becoming in demand. The technique has assisted many people to improve from all manner of conditions, both physical and emotional. The technique is technically in two parts. The first part is Vitaflex to the spinal reflexes of the feet, and the second part involves dropping neat essential oils long the spine, following the French method of application. Feathering movements with the tips of the fingers are used to spread the oil along the spine and to stimulate the nervous system. There follow some simple traditional massage movements, before a warm damp towel is placed over the spinal area to assist the essential oils entering the bloodstream. During Raindrop a vegetable oil can be used if excess warmth or tingling is experienced, effectively diluting the neat oils, but in practice this is seldom required. By dropping the essential oils onto the skin from a height of around 5 inches, their healing energies and properties are dropped through the aura of the recipient. This brings about a balance within the spiritual body, the emotional body and finally the physical body – in other words connecting the aura with the physical body to assist the recipient to feel at peace and to release feelings that are no longer wanted or needed – to allow personal growth and harmony. The combination of the powerful Tibetan reflexology of Vitaflex, with the unique Raindrop technique and the pure essential oils of Young Living, has become a valuable tool for all manner of ailments. Over the years there has been great success with conditions such as Scoliosis, IBS, ME/Fibromyalgia, and all kinds of body pain in particular back pain and sciatica. There has also been great success in alleviating depression and the Emotional Raindrop technique is a powerful treatment that helps remove negative feelings that allow one to move forward. White Angelica- (optional, but highly recommended) is used by the practitioner at the commencement of a session. It is a powerful protector and enhances the auric field. Valor- this is a blend of essential oils and is used at the start of a session to balance electrical energies within the body. Valor also helps structural alignment and oxygenates red blood cells. Oregano- works in conjunction with Thyme and also aids respiratory system, helps balance metabolism and strengthens vital centres of the body. Thyme- supports the immune system by attacking bacteria, fungus, infection or viruses which may be present. Basil- relaxes spastic muscles and stimulates nerves and adrenal cortex. Wintergreen- helps remove discomfort associated with inflammation of bones, muscles and joints. Marjoram- relaxes spastic muscles, soothes nerves, relieves cramps, aches and pains and helps calm the respiratory system. Cypress- used for its anti-bacterial, anti-infectious, anti-microbial and diuretic properties. Aids circulatory and lymphatic system congestion. Peppermint - reduces inflammation and aids respiratory conditions. It enhances the effects of the other oils. Aroma Siez- relaxing to spastic muscles. These essential oils are dropped gently on the spine and then lightly massaged in using various techniques. The practitioner dispenses the oils along the client’s spine like little drops of rain from a height of about six inches. The oils are gently brushed up the spine and lightly massaged over the rest of the back. 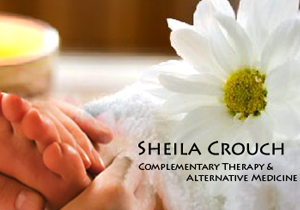 A hot compress is then applied, which facilitates oil absorption and muscle relaxation. Developed by nutritionist Gary Young, Raindrop Therapy is based on the theory that many spinal misalignments are caused by pathogens that reside dormant along the backbone. This condition creates inflammation causing contortion and disfigurement along the spine. The application of highly antimicrobial essential oils reduces inflammation and kills the pathogens, thus providing symptom relief. Raindrop Therapy is based on Lakota Native healing. When performing Vitaflex as part of a Raindrop session, it is performed standing up, and one hand is used as the ‘well’ to hold the essential oil you are applying, and the other hand is performing the movement. You work from one foot to the other, alternating the working hand, until all the required essential oils are used. If however, you are performing Vitaflex only, then essential oils do not have to be used because, as stated below, Vitaflex is a modality in its own right. Some of the Vitaflex techniques are performed standing, whilst others are performed sitting. Vitaflex points are found all over the body as well as the feet, in much the same way as acupressure points. Definition: Vitaflex is a term coined by Stanley Burroughs from the phrase: ‘Vitality through the Reflexes.’ It consists of a specialised form of digital electrical stimulation using the pads and nails of the fingers in a rolling motion to fire voltages into the body through reflex points. Vitaflex is effective as a technique in and of itself, while aromatherapy (the application of essential oils) is also effective independent of any other modality. By combining the two, there is a synergistic effect and the effectiveness of both is enhanced. How it works: The voltages produced by Vitaflex induce currents along the nerve pathway The molecules of essential oils are also electrical in nature and move along nerve pathways. Sickness is often the result of blocked nerve pathways. Vitaflex helps move the healing molecules of essential oils along these pathways. When a gap or malfunction is encountered along the way, the oils and voltages jump-start faulty electrical circuity, helping to restore proper function. It works best when oils and Viraflex are applied at Vitaflex points on the body. There are more than 1,400 of these on the body, which serve as master control keys to restore normal body function. Books and References: Vitaflex is an ancient Tibetan healing methodology and was brought to the United States in the 1920s by Stanley Burroughs. His book, Healing for the Age of Enlightenment, is the original English text on the subject and most of what is taught in my courses is found in this book described in both words and photographs (although the photographs are rather faded – and unclear!). The Essential Oil Desk Reference (EODR) discusses Vitaflex in relation to using the procedure with essential oils. It also has associations with metamorphic technique and western reflexology and kinesiology. There are 13 Vitaflex Techniques which can be applied to the body for healing of specific systems and incorporated into other hands on treatments. These include techniques for cleansing the colon, respiratory system, lymphatic system, sinuses, digestive system, ears and improving hearing, atlas/pelvic technique to adjust any misalignment causing postural and mobility problems as well as neurological and organ impediment, head and brain technique and heart pump. It is also possible to do a full foot treatment using vitaflex. Essential Oils: Any reference to essential oils, in this treatment or any other treatment or course I offer refers exclusively to those sold by Young Living Essential Oils Inc. (YLEO) headquartered in Utah. They are the only essential oils I know of grown, manufactured and/or packaged in the United States and any other of the global YL distilleries, that fulfill all of the standards for Natural, Organic, and 100% Pure Therapeutic grade oils. Many other brands are diluted, refined, adulterated with synthetics and/or are improperly grown, harvested, and/or distilled. They may fulfill standards for foods and fragrances, but not for healing applications. YLEO oils are the only oils used in my courses. They are also the only oils used by CARE (Center for Aromatherapy, Research and Education) where I trained in Vitaflex – after spending 25 years as a professional reflexologist and kinesiologist. For more information on courses to learn these techniques please go to www.raindroptrainingeurope.com and look under the events and training pages on this website. If you wish to order any oils please contact me or if you contact Young Living Europe please quote my Young Living Distributor No. 1360228.